Family System Dynamics affect every single one of us – and of course, every character in your stories. I’ve been working with that kind of energy for years, and I hope I have been able to show some of what goes on in families to you. This is very much a case where knowledge helps. Because you can only see what you know. Imagine a family like mobile, everyone tied together by that invisible energy of the family system. Everyone connected with the others. That’s what you live in. That’s what I live in. What everyone lives in. Even if we dislike our family. This is unescapable. And real. And yes, it can feel as if you’re caught in a web. But this knowledge can arm you, and give you ways of working with this web that make life better for you – and often enough for the rest of the family. The biggest thing about family system is that they are driven by underlying love. I know this may sound horrible if you’re living or grew up in an abusive family. And I’ll say right here that my own family wasn’t exactly very loving, either. That’s why I said “underlying”. That love can show on the surface, but often it doesn’t. And yet it drives a lot of action in a family. This Burden thing I spoke of earlier? Driven by love. Why we obey family laws and rules? Driven by love. And the best way to change a family system that’s detrimental is by doing it with love. You can effect changes through EFT tapping, but they work best if infused with love. If you care about everyone when you shift that energy, when you include everyone when you change family rules or giving back energy or stepping out of a family job that’s not yours. Because everyone is connected in those family systems. Because they will have to shift a little to restore balance if you shift your energy. Because those changes will affect them – and if you do them with love and caring, they might easily profit from them as well. So if you choose to look at your family system and change something that’s holding you back or siphoning up your energy or giving you a hard time – do it with love and gentleness. This family system energy always affects you, as well. Treat it with respect. And know that I’m there to help you if this feels too big or too scary or too complicated. A few sessions can make a huge difference. And because this is such a huge topic and yet something very foreign for most of you, I’ll offer you some more tapping to get comfortable with the whole idea of that web of energy surrounding and affecting you. It isn’t bad. It isn’t actively working against you. It is – fundamentally – a web of love. With occasional twists. Even though these family systems sound scary and I really dislike the thought of being caught in one, I’m totally okay the way I am, and I know choose to know they are made of love. Even though this whole series was scary to read, because so many bad things can happen, I’m totally okay the way I am, and I know choose to see the underlying love. Even though I still don’t get family systems, and they scare me, I’m totally okay the way I am, and I now choose to let this all sink in and allow the love in the system to show. 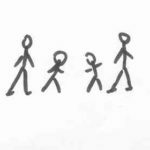 What do you think about family system dynamics? This entry was posted in Family System Dynamics and tagged family system, family system dynamics, love, self-care. Bookmark the permalink.